You can move your accounts and transactions from YNAB to PocketSmith. 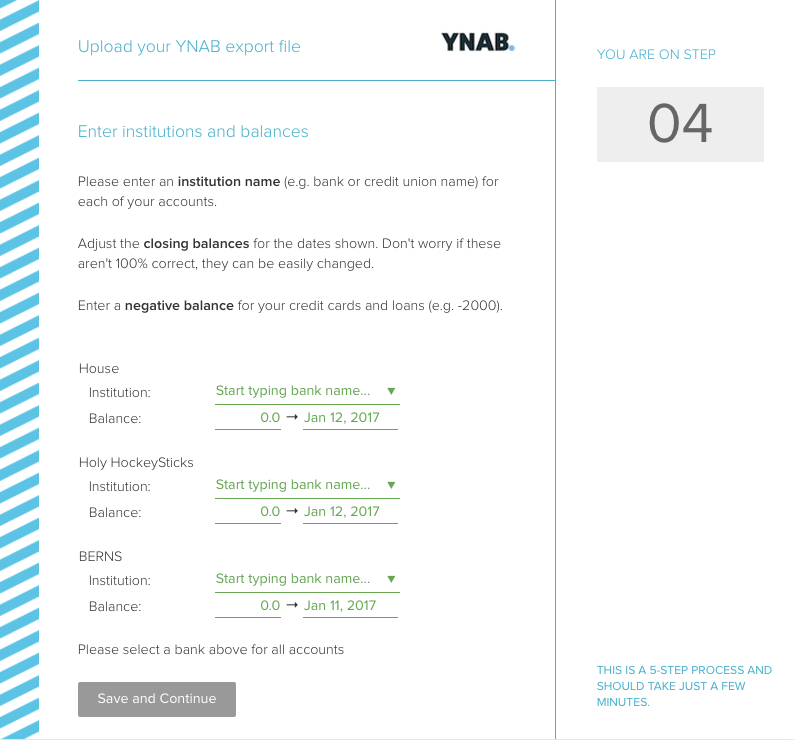 Use the custom YNAB import tool to bring your data over in just a few seconds. To start, you need to export your transactions from YNAB so that you can import them into PocketSmith. 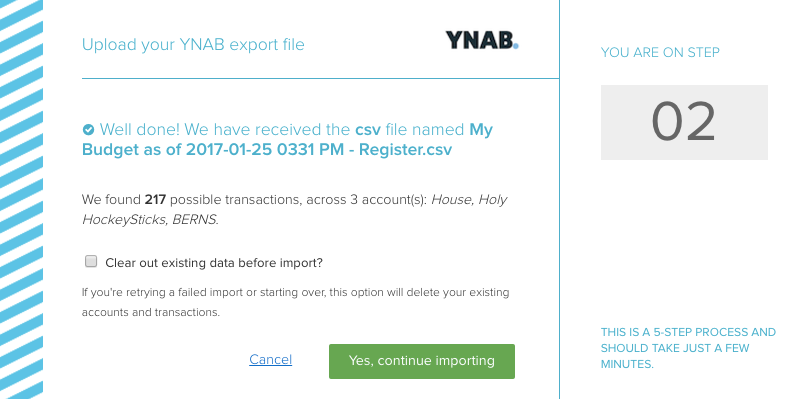 Uploading your exported CSV file from YNAB will create all of your old accounts and transactions in PocketSmith that were previously stored in YNAB. Use the steps below to generate a complete export from YNAB. All of your transactions and categories are located in your YNAB budget. If you have multiple budgets on the go you will need to export these separately. Select a budget you want to export. Your budget will download and save as a zip file on your computer. When you open the zip you'll see there are two CSV files included. You'll only need to import the second file that includes the word "Register.csv". See the below example. 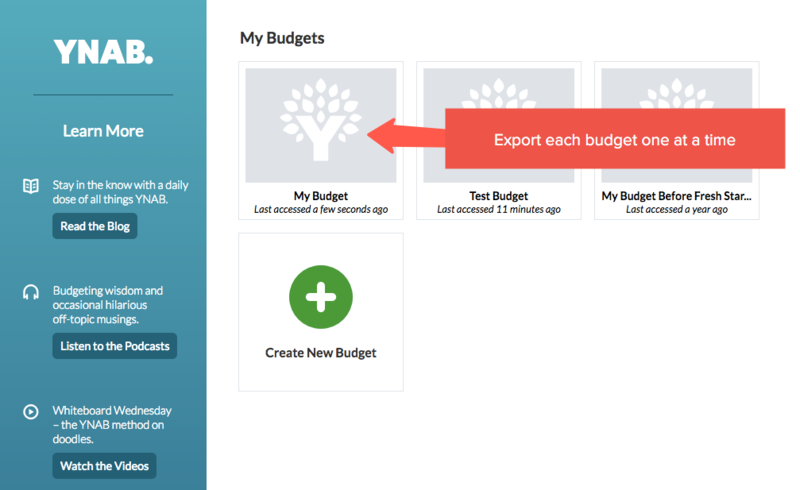 Go back and repeat the same steps for each of the budgets you want to move to PocketSmith. Once you have all the data you need you'll be ready to upload your file(s) into PocketSmith! Currencies that use a comma as the decimal separator are exported as TSV files rather than CSV from YNAB and, currently, it's not possible to import TSV files into PocketSmith. To get around this, you can change the account currency within YNAB to one which uses a decimal point as the separator, such as $USD. You'll then be able to export your files in CSV format for importing into PocketSmith. Once you have exported your files, you can change the currency used within YNAB back to the original currency. Now that you have your YNAB files ready to import into your PocketSmith account, head over to the YNAB importer and begin the move. Start by dragging and dropping your YNAB CSV files directly onto the page. Remember to add the second CSV file in your downloaded folder when importing a CSV into the importer. Your files will automatically upload and give you a rough summary of the details about accounts and transactions held. If everything looks good, click Yes, continue importing. Take a look at the Dashboard or the Account Summary to see that your accounts and transactions imported correctly. YNAB has a very specific set of rules to use their software. However, PocketSmith offers a lot of freedom. Using our vast set of features, you can interact with your money in a variety of ways. Check out our helpful guide for when moving from YNAB to PocketSmith.